So much of the conversation [about social media] has become too theoretical; it’s just another way of talking to one another,” says Jane Bozarth. Bozarth is an author and eLearning coordinator for the North Carolina Office of State Human Resources. At the Online Learning Consortium Blended Learning Conference and Workshop 2015, Bozarth gave the keynote address on using social media to encourage learning. She sat down with Academic Leader to discuss what deans and department heads need to know about how colleges and universities are effectively using social media to talk to their students; the examples may inspire you and your faculty. 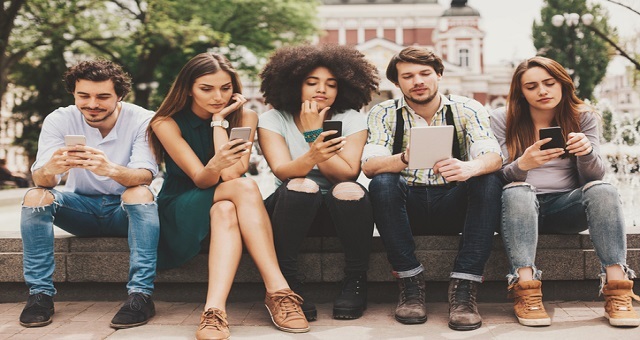 The power of social media comes from its ubiquity and its ease of use, making the various social media platforms ideal ways to engage students in learning outside the classroom or learning management system (LMS). Bozarth notes that “you don’t have time to log in to Blackboard” every time you see something that is relevant to a class, but every student walks around with a phone and likely with the apps that allow him or her to instantly communicate. This can make learning a much more immediate, 24/7 kind of experience. Bozarth tells of a chemistry instructor who uses Flickr to encourage students to think about chemistry by posting photos whenever they observe a chemical reaction take place. This helps students key in to the fact that a simple act like lighting a birthday candle touches off a chemical reaction that they may have been studying in class. At UCLA, the Powell Library helps “market classes by supporting their content,” Bozarth says. For example, the library posted a photo on Instagram of a phrenology map that is included in its collections. This type of posting could be linked back to classes that discuss phrenology or current developments in neuroscience, reminding students of their studies even when they are not in class. Social media can be an invaluable tool to “help students circumvent the bureaucracy” that can sometimes slow higher education. Bozarth tells of one institution that was contemplating shutting down the 24-hour access to the library and its services based on the belief that students were not using the facility and its services during the wee hours. Students started posting pictures of themselves studying overnight in the library to successfully make the case that they were using the library but might not be generating other measurable data about use, like checking out books or making reference requests. Social media can also be used to allow for interesting collaborations between classes at different institutions. In one such partnership, a “Green Media” class at San Francisco State University, which studied how media covers the making of food, partnered with a composition course at San Diego State University titled “Food and You.” Students shared photos of recipes they had made and information about their work via Twitter and Flickr. Social media can also allow organizational leadership to communicate more effectively with the rest of the institution. Bozarth points to the “6 A.M.” blog written by Richard Edelman, president and CED of public relations firm Edelman. In it, he shares insights on news and current events that affect the company and the public, including cases in which he has discussed decisions he has made or changed and the thought processes behind them. These are just a few examples of ways that social media can be more nimble in the support of education than traditional tools like learning management systems. These traditional tools, Bozarth says, can tend to be needlessly complex and “not easy on the end user,” while social media platforms are designed to be easier to utilize. The challenge is to create a culture that supports the use of social media for learning and for university improvement and that treats these media as serious tools. “For some reason, things aren’t considered serious in one medium that are in others,” Bozarth notes. But social media can be used to further the educational goals of the institution; it just takes some creativity and some willingness to step outside the LMS. Reprinted from “Encouraging Your Faculty to Use Social Media for Learning,” Academic Leader, 31,08 (2015): 4. © Magna Publications. All rights reserved.